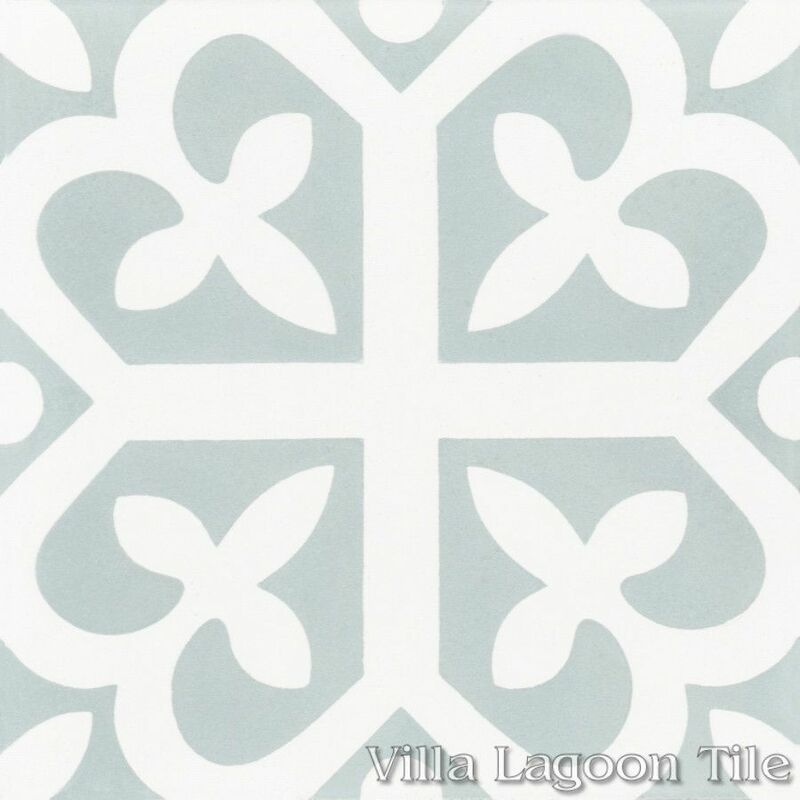 This is a 2-color 8" cement tile, using Pale Jade and White from the South Beach Palette. 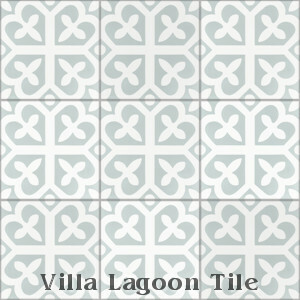 This traditional cement tile pattern is so whimsical, and reminiscent of a four-leaf clover, that we named it "Lucky". Squares, diamonds, and soft, floral fleur-de-lis dominate this pattern. 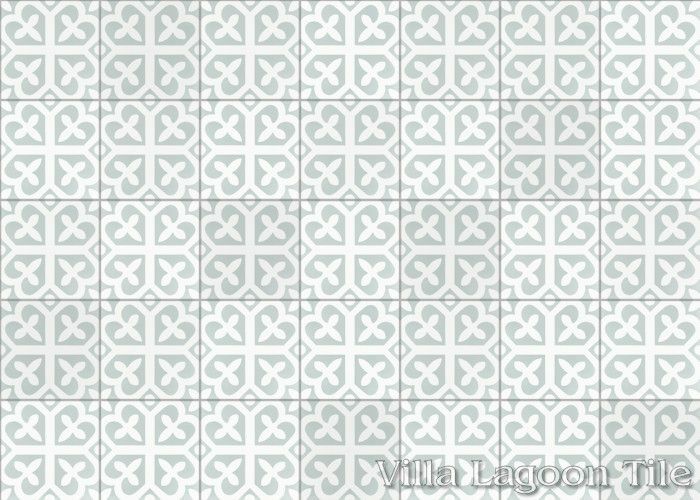 This production of "Lucky" features soft Jade colors.